Keeping your air conditioner in excellent condition is a very important part of keeping your home comfortable. You and your family depend on your air conditioner, and you need it to always keep your home cool during the summer months, but homeowners still don't have their air conditioners worked on at all until they've developed serious problems or completely broken down. Even the smallest problems with your AC will get worse very quickly, so it's important that they're repaired as soon as possible. Not only will any problems with your AC cause it to run less efficiently, but they'll also turn into issues that require emergency air conditioning repairs if they're left untreated. At Cooper’s, Inc., our professional air conditioning services team in Topeka recommends that you have proper air conditioning maintenance performed at least once each year, preferably in the early spring, before you begin cooling your home regularly. Our air conditioning tune-ups will ensure that your cooling system is able to keep your home as comfortable as possible while also keeping your cooling costs low. Keep your home more comfortable: Making sure that your AC is as functional as possible will keep your home comfortable throughout the summer months. Prevent costly breakdowns: By catching problems that develop with your AC as early as possible, you'll prevent more complicated repairs and breakdowns. Help your air conditioner last longer: By catching problems earlier and taking care of them before they do more damage, you can improve and expand the lifespan of your air conditioner. Save you money on energy costs. Your energy costs will drop significantly as it becomes easier for your system to cool your home. 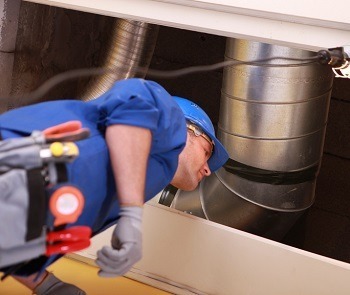 The professionals at our air condiitioning company in Topeka will provide you with high quality tune-ups and do whatever it takes to ensure that your air conditioner is in the best condition possible before we complete our work. If you would like to schedule an air conditioning tune-up in the Topeka area, please call Cooper's Inc at 785-267-4100 or complete our online request form.